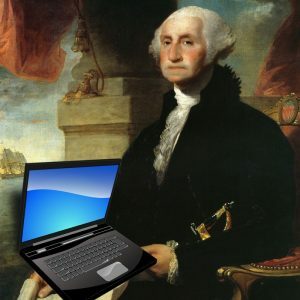 What would George Washington blog about? It’s such an important question to ask in business and life. It’s where fantastic dreams and goals begin. This week of Fourth of July has made the E-Team feel patriotic, and one of our employees asked a “what if” question. She wondered, “What if the Founding Fathers had social media?” After a few chuckles, we all started thinking seriously. Surprisingly, that simple question reminded us of some important business concepts. 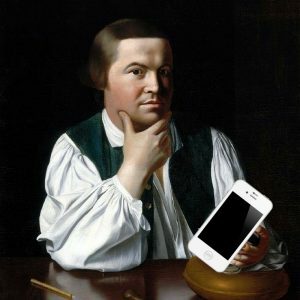 As we joked about George Washington blogging, John Adams tweeting, John Hancock taking photos of his signature for Instagram, Ben Franklin philosophizing on Facebook, Alex Hamilton snapchatting away, and Betsy Ross on Pinterest, we noticed some trends in our amusing argument. 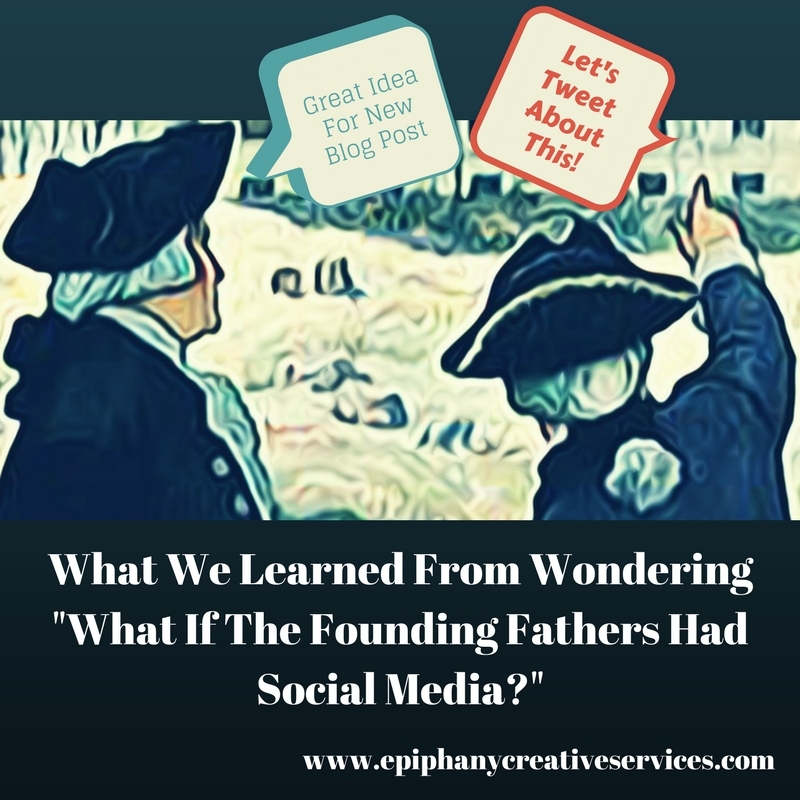 The first thing we realized: trying to imagine our founding fathers and mothers using social media helped us see them as real people. Sometimes, it’s easy to just think of them as emotionless statues or people “above the masses” in their wisdom and courage. Thinking of them typing their arguments on social media helped us remember their humanity and the commonness we share with them across the centuries. After all, who doesn’t see politics and world-changing events on social media these days (whether you want to or not)? 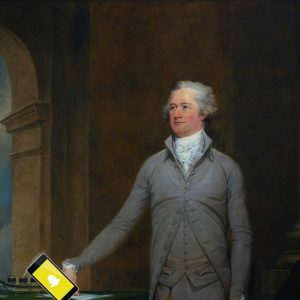 Alexander Hamilton – would he have liked SnapChat? I don’t know how you feel about it, but we just couldn’t imagine George Washington snapchatting selfies from the dining table at Mount Vernon. However, we can totally picture him sitting on the porch and looking over his laptop at the Potomac River while writing a 2,000 word instructional blog post on etiquette or advice for a fledgling government. We don’t think John Adams would’ve had twenty different social media accounts. However, we can imagine him being very proficient at one platform; we imagine Twitter! (Can’t you just hear Adams and Jefferson arguing @FederalistMan and @VAlibertyforever). If social media scares you to distraction or you just can’t get into the routine, you need to know it’s really okay. Not everyone is created to be a social media guru. If you find a platform you like, go for it—and be the best. If not, you’ll survive if you surround yourself with folks who can work with you. You’ll be able to find a social media manager who can help you share your message. Your message, their guru experience – it just might be a “more perfect union” that makes some great business profits. For better or worse, our 21st Century world doesn’t operate at the speed of horses and sailing ships. If you want to spread the word about the lobsters arriving (at your restaurant) or the newest declaration (of a sale), you’ll have to use some “faster than the speed of light” marketing. Email marketing, SMS messaging, or social media marketing, to be exact. Did George Washington sew his own clothes? No. He typically would’ve ordered his suits in town, paying a tailor to keep him looking fashionable. The same principle applies to modern day social media. Rather than letting your business fall behind in the current marketing trends or get extremely frustrated, it’s fine to hire someone to help. After-all, if you’re like George Washington, you have much more important things to do than struggling to thread a needle. So let someone else work with the stats, ads, and metrics of social media on your behalf while you shine leading your company toward business goals. Let Epiphany Creative Services tailor your trendy message! By now, you know Epiphany Creative Services is a company that operates in what we refer to as the “creative space”. But we’re also creative professionals. Our team has years of experience in the social media, marketing, and branding fields. We can help you find your next “aha moment” in business and help you declare independence from the struggles, fears, or questions which surround social media for business.